Lunjiao rice cake is a traditional snack in Lingnan area and it got its name because it originated in Lunjiao Shunde. 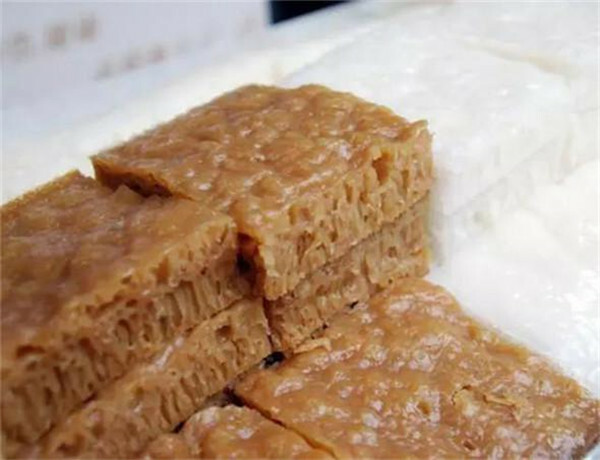 Lunjiao rice cake is bright and clean , its appearance is “pig paste surface, chicken claw stripe and three lines patterns”. The modified Lunjiao rice cake has changed from white sugar to brown sugar, that is why some of them look sandy brown now. It will have a distinctive taste when added with egg liquid.